Whether a housewife, working women or a student everyone wants to have clear, clean, glowing skin. Just not only women but men's also want to have good skin. Using chemical products are not only expensive but can also cause harmful effect on your skin and health. Stressful lifestyle, smoking, drinking alcohol, sleep deficiency, sun rays (UVA/UVB) can cause your skin to get dry, dull & patchy. We all prefer going to the saloon for cleansing or facial or buy market products to recover from all the skin problems and to get clear, glowing skin. 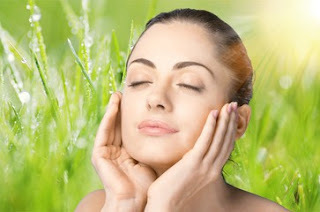 In this post, we will learn some natural remedies that help to make your skin glow. 1. Coconut oil: We have noticed that coconut oil is used in many of the cosmetic products because of its moisturizing and healing properties. It gets absorbed in your skin easily that nourishes it and prevents it from getting dry and dull. When massaged over the skin, it tends to remove dust and dead skin cells. 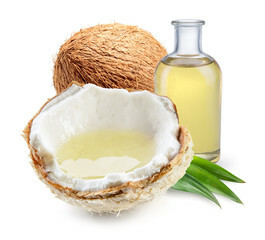 - Massage it on your face and neck area & leave it overnight, wash off the next morning. Use it twice a week to get positive results. 2. 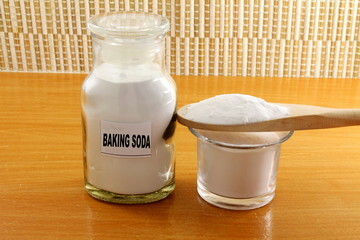 Baking soda: Baking soda is used in every household to prepare a variety of food dishes, but are we aware that it has many beauty benefits as well. As it has bleaching properties, that helps to remove skin patches and scars to make your skin look clear. Also, it can be used as an exfoliator to remove excess oil & dust from your skin pores that make it feel fresh and glowing. - Make a paste of baking soda with orange juice and apply it on your face, let it dry and scrub it off with water. This will help to remove dead cells. 3. 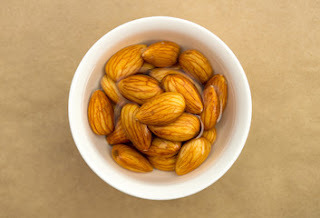 Almonds: Almonds add flavors to your desserts and snacks. Beside this, it also helps your skin to stay healthy & hydrated. Almond contains antioxidants that keep your skin hydrated. It is the most easily available nut in the market packed with biotin that is essential for healthy skin, hair, and nails. - Consume soaked almonds daily in the morning and at your snack time. The paste of almond can also be directly applied to your skin for fresh looking and smooth skin. 4. Drink water: Up to 60% of the human adult body is water and to let is stay hydrated & healthy, it is advised to have an adequate amount of water daily. The body turns dry and flaky if it does not receive a sufficient amount of water to maintain its hydration level. As skin is the largest organ, so do it requires adequate water intake to prevent excess water loss and keep your skin healthy & glowing. - Drink at least 8 glasses of water daily.